Ruby Habitat Foundation are good stewards of habitat in their care for the benefit of all. 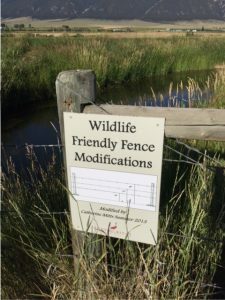 To learn more about wildlife friendly fencing check out this Fish, Wildlife and Parks guide Wildlife Friendly Fences. What does this have to to with fly fishing in southwest Montana with Healing Waters Lodge? Everything!